Volume 2 now available to order! To order the two volumes together at a discounted rate CLICK HERE. Obstinate Hope wins WSHS book award! Click here for details. 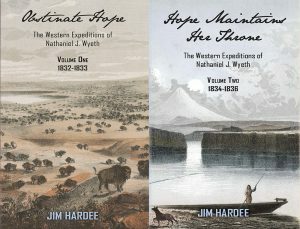 “Obstinate Hope: The Western Expeditions of Nathaniel J.Wyeth, Volume I, is the first of a two-part examination on the life of Nathaniel J. Wyeth. The book begins with a look at Wyeth’s early life and heritage in the New England area, his eastern business ventures and the many entrepreneurial ambitions he engaged in. Throughout history, little has been chronicled or interpreted about Nathaniel J. Wyeth and his role out West, whether as mountain man during the fur trade or commercial pioneer at the heart of rendezvous. 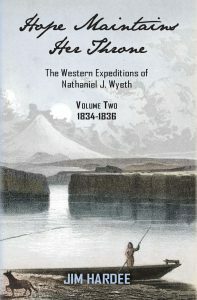 Hardee uses letters, journals and historical documents to follow Wyeth’s stubborn pursuit and persistence as he treks cross country from one seaboard to the other in 1832-1833.